During the late afternoon of 17 June the Duke of Wellington chose one brigade from the Netherlands army to guard his extreme left flank on what was to become the Battle of Waterloo the next day. This brigade composed of Nassau soldiers under the command of Colonel von Sachsen-Weimar had already shown its value two days earlier at Quatre Bras. In Standing firm at Waterloo, our third volume, the tenacity and resilience of these Nassau soldiers is described in great detail as they fought against French troops of General Durutte and all day long denied the French a foothold. This remarkalble struggle, often fought in skirmish formations due to the undulating and broken up terrain by small woods and hedges, ultimately secured the safe connection with the Prussian army and the final defeat of Napoleon. Four Nassau battalions and a tiny group of some 18 volunteer Jägers fought bravely at the farms of Papelotte and La Haye, as well as the hamlet Smohain and the tiny chateau Fichermont. You can read more about this epic battle in "Standing firm at Waterloo". Did you know that about a third of Volume One "From mobilisation to war" actualy deals with the outbreak of hostilities on 15 June?! This part of the volume describes in great detail the events and manoeuvres for the various Netherlands divisions. How even during the early morning they were well aware of the French invasion directed towards Charleroi and adepted their defensive schemes to meet this threat. How above all the Prince of Orange quickly spurred his horse to Brussels to inform the Duke of Wellington of all these events. 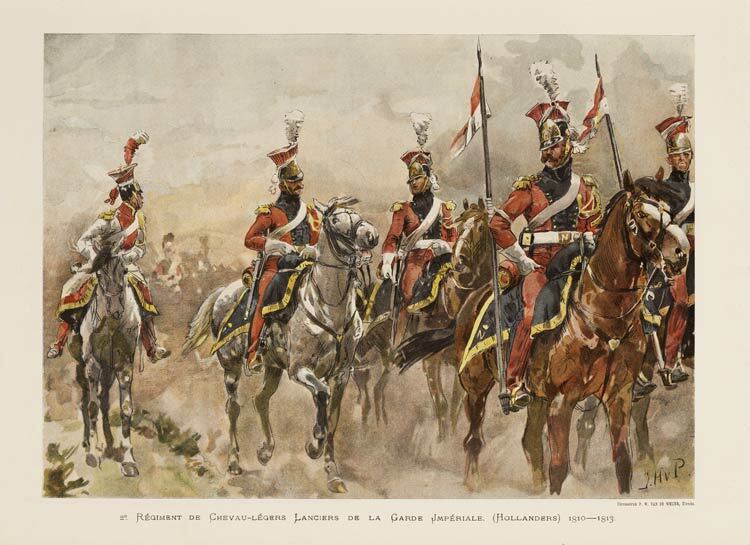 Perhaps even more interstingly is the chapter that tells about the action at the small village of Frasnes in the late afternoon on 15 June, when the Red Lancers of the French Imperial Guard cavalry spearheaded the French advance along the road from Charleroi to Brussels, accompanied by Marshall Ney. They were stopped in their march forward by the resilient Nassau soldiers that served in the Netherlands field army, who were assisted by just one horse battery commanded by Captain Bijleveld. This brave, although small, action and the subsequent fighting around Franses by the Nassau brigade under the command of Colonel von Sachsen-Weimar that late afternoon has never before been described in such detail as in volume 1 "Mobilisation". Especially as it is based on and presented through numerous accounts from participating Nassau and Netherlands veterans. Therefore "Mobilisation" is a must have for anyone who is seriously interested in the Waterloo campaign! The chapters in this volume on 15 June will further enhance your understanding of what is published in the next volume "Quatre Bras, Perponcher's Gamble". The research for the fourth and final volume in the series on the Netherlands field army in the 1815 campaign is currently still in full progress. Thousands of contemporary documents have already been gathered from various army archives concerning the corps headquarters, the Indian Brigade and the 1st Division. Private journals of for example Major-General De Eerens have been extensively researched for the period after Waterloo, as well as the continuous journal of the Quatermaster-General Constant-Rebecque up to the last days in December 1815 when the field army returned home and was disbanded. Furthermore additional literature is now collected and studied on such themes as siege warfare in relation to the sieges/observations of the fortresstowns of Le Quesnoy, Condé and Valenciennes. But also those of Péronne, Bavay and Bouchain. All these towns were involved in what became the last active sieges by a Netherlands force (except 15 years later when the Dutch were besieged themselves in Antwerp). Take a close look how the Allied armies advanced through France after their victory in the battle of Waterloo, by visiting the online collection of the Cassini atlas of France. Highly detailed maps made by the Cassini family in the 18th century of France, more in particular by César-François Cassini and later his son Jean-Dominique Cassini, provide you an excellent idea of the countryside, the towns and villages, the roads and river crossings and fortified places. Updated versions were still in use in 1815. These maps will surely help you follow our history on the invasion of France due in Volume Four next year. Take a look at the Cassini maps right here. Don't forget we also paid attention to contemporary atlasses of the Netherlands in another news item! In the first review on "Standing firm at Waterloo" it is Ron McGuigan from Canada who has written a brief, punctuous and lavishly positive recommendation & which is published on the website Napoleon Series in their bi-weekly 'what's new section' in their forum and in conjucntion in the 'books review section'. Read the review yourselve by clicking here and become convinced this book and the series are a must have for both the academic and the casual reader on the Waterloo campaign. The historian Rory Muir also wrote a few kind words! 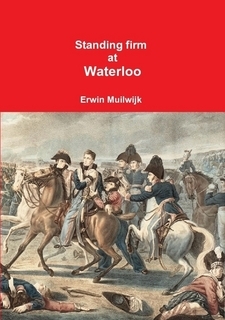 For more information on our Waterloo book, take a look right here on our webiste. Meanwhile Volume Three on the battle of Waterloo has sold over 100 copies since its release 3 months ago. 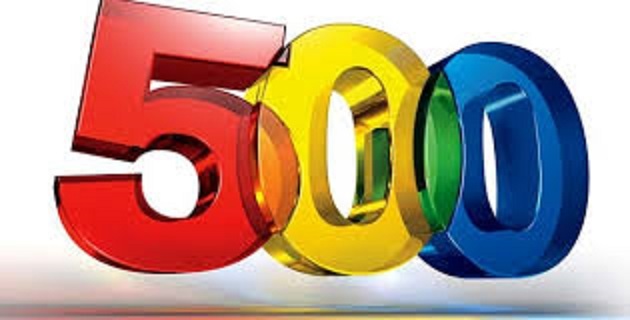 And of all three books currently published we have sold 500+ copies worldwide this month!